for the forever kind of people. Hi, there! 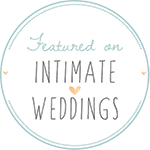 I'm Lexi Hoebing, a wedding and travel photographer based in Oklahoma City. I'm glad you're here! Take a look around, use the buttons below to read more about me, or see what my wonderful clients have said about my work. Can’t wait to hear from you!